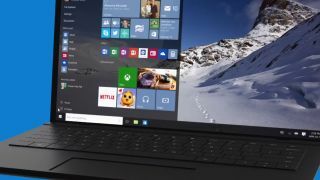 Windows 10 Enterprise faces a long wait for companies to start adopting the new OS due to a variety of reasons ranging from the time it will take to roll out to having to train employees on how to use it. First reported by Beta News, a survey carried out by Adaptiva at Ignite 2015 found that 71% of IT leaders plan on waiting six months or more before rolling out the new OS version with as many as 49% planning to wait for longer than a year. There are plenty of barriers that are holding enterprises back from adopting Windows 10 Enterprise. Reasons range from application compatibility and time investment (98%), user training (35%), and product maturity (23%). A little more than half (54%) admit the cloud has no impact on their ability to migrate to the OS, however, 40% said that the cloud is making it harder for them to perform these tasks - a number that sat at just 7% in 2014. Right now, 89% of the firms surveyed are using Windows 7 and/or another 57% are using Windows 8 with just 11% continuing to persist with the outdated Windows XP OS. Microsoft confirmed the name of every single Windows 10 version last month with Windows 10 Enterprise and Mobile Enterprise providing businesses an extra layer on top of the standard Windows 10 Pro edition.